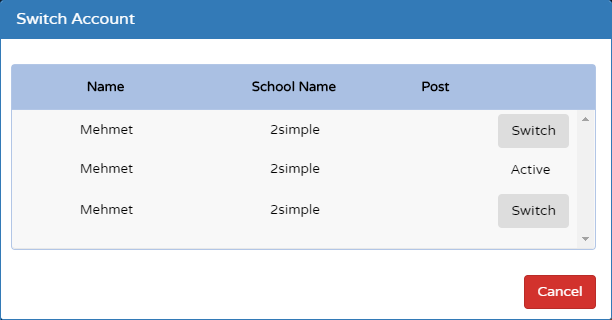 2 Simple and Purple Mash Help - One login across multiple schools and how to switch between schools. All Categories ​>​ Purple Mash ​>​ Logins and Passwords ​>​ One login across multiple schools and how to switch between schools. One login across multiple schools and how to switch between schools. Please note that this guide applies to Teacher or Administrator accounts. This does not apply to Pupil accounts. You can have a single login for any amount of schools at the same time. You do not need multiple logins (I.e. one for each school) and can use a single set of login details across all schools that you work with. When your email address is set up on one school account, you can be set up on another school account by simply being added onto that school's staff list with your email address. Your username, email address, and password will remain the same for all additional schools you are set up on. Once set up, you can switch from school to school without having to log out and back in again. To switch between schools please follow the steps below. Log into any of the school portals with your username and password. 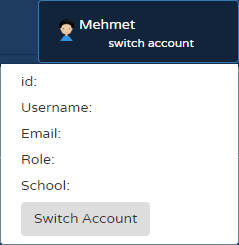 Click on "Admin", and then click on "Create and manage Users"
Over on the top right of the user management interface, click on the "switch account" button and then click on "Switch Account". In the interface, you will see which school you are currently signed into as this will appear as "Active". You can then click the "Switch" button to move to any of the other schools in the list immediately. Once you have successfully switched, you can click the white arrow button on the top right to go back to Purple Mash. What is a School Quick Login? 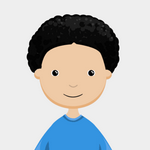 Can we use 2Email to email pupils and teachers at other Purple Mash schools? Can my school&apos;s MIS system automatically create my Purple Mash logins for me?